Saturday Night is Single's Night at Elemenopi !! Salsa Dancer group Nitro and so much more fun. 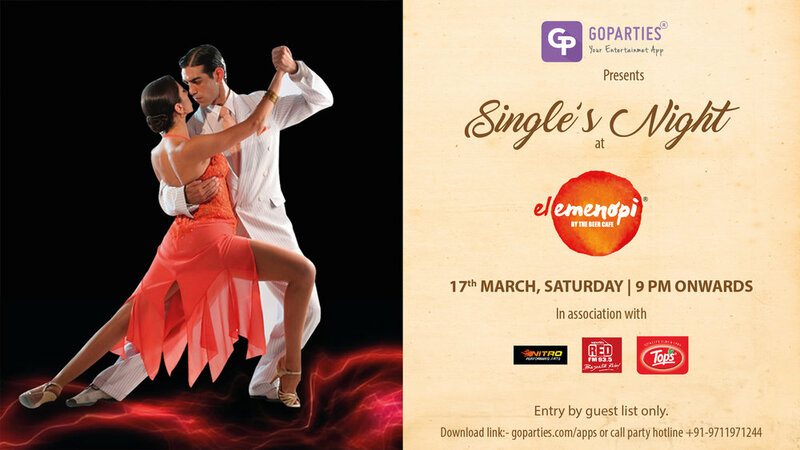 GoParties - Your Entertainment App, brings to you the Single's Night at Elemenopi, One Horizon, Gurgaon. A fun, interactive party with Salsa Dancers ! ~ Salsa Dancers group: Nitro ! ~ Gift/Send Roses To your Chosen One on the spot through the party master.